Can be made with or without strap and with a clip instead. Message me if you prefer a clip. I have been to burning man 8 times since 2008 and am VERY careful to make pieces that are durable and are not going to fall apart when they get to the playa and moop all over the place. 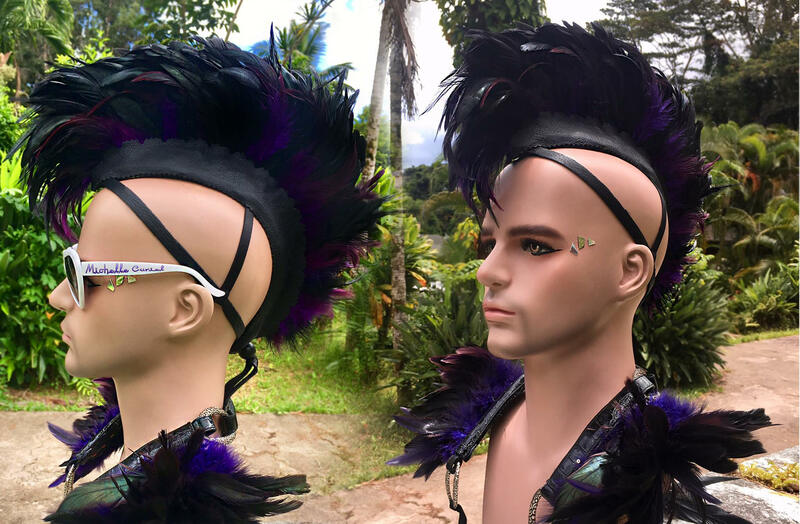 Not all feather mohawks out there are made to withstand the playa, so keep this in mind when making your selection if you do not choose to have me make one for you! I have also developed a "Dusty B)i(rd" clean and care kit to ensure your feather pieces last a long time. This kit will be made available for purchase in my store mid July 2017.